A third defendant charged in a December home invasion that left a Millinocket businessman dead and his wife seriously injured was arraigned Friday at the Penobscot Judicial Center in Bangor. Alexis Locklear , 21, of Maxton, North Carolina pleaded not guilty to one count each of felony murder and robbery. Locklear was extradited earlier this week after refusing to return voluntarily to Maine with law enforcement. Superior Court Justice Ann Murray set bail at $500,000. Locklear remained Friday at the Penobscot County Jail unable to post bail. Also charged in the case were her father, Tony Locklear, 43, of East Millinocket and Pembroke, North Carolina, and her boyfriend, Christopher Murray, 38, of Red Springs, North Carolina. Both men pleaded not guilty to one count each of intentional or knowing murder, elevated aggravated assault and robbery. Assistant Attorney General Leanne Robbin told the judge Friday that the motive for the crimes was robbery. 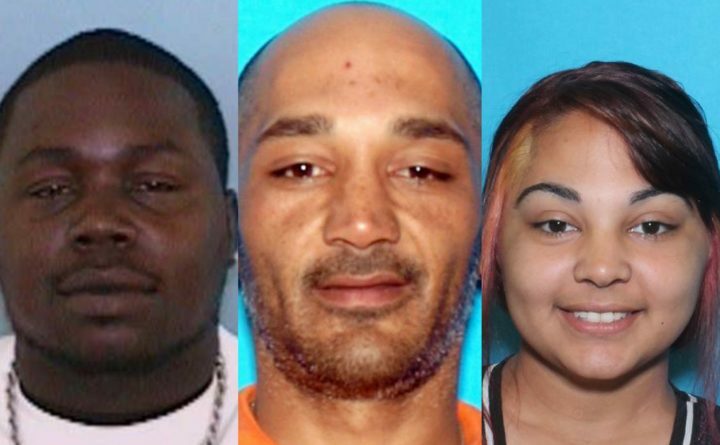 Alexis Locklear, who allegedly helped plan the robbery and drove her car to and from North Carolina with her father and her boyfriend, admitted her role in the crimes to investigators, Robbin said. If convicted of murder, the most serious charge, Tony Locklear and Murray face between 25 years and life in prison. Alexis Locklear faces up to 30 years in prison if convicted of felony murder for her alleged role in the crimes.